1 : 3800000 Colton, G.W. Spanish dominions in North America, southern part. 1 : 5385600 Johnson, A.J. Die Vulkanreihe von Guatemala, (etc.). 1 : 5248000 Johnson, A.J. Central America. Guatemala, Honduras, Nicaragua, Costa Rica and Jamaica. 1 : 5500000 Colton, G.W. 1 : 4300000 Vivien St Martin, L.
Central America. Dominion of Canada and Newfoundland. 1 : 4440000 Hammond, C.S. 1 : 3041280 Fullarton, A. 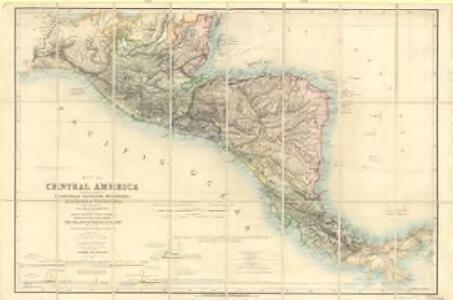 & Co.
Part of the provinces of Costa Rica and Nicaragua with the lagunas. Partie du Guatemala. Amer. Sep. 72.